“We can build that bridge between our world and theirs…” A small book published in 1919 travels through time and connects college students from nearly a century ago to a group of journalism students today. This is the story of how the book found us. 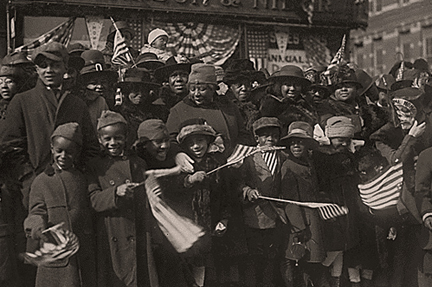 The Peters sisters used poetry to protest, to document and to comment on their troubled times. Their words are a celebration of young voices in any era. Use their words to create a poem and add your voice to the book. 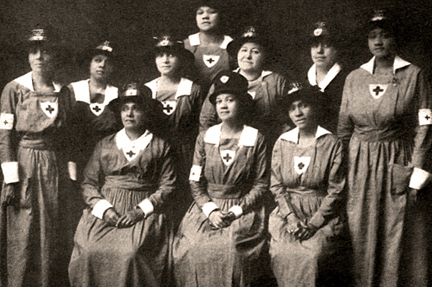 In 1919, two young sisters from West Virginia, Ada and Ethel Peters, wrote a book of poetry confronting war and racism. 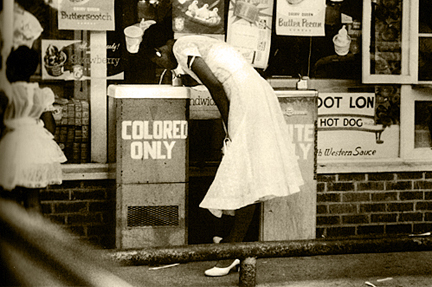 Their courage to create overcame the obstacles of being black, female, and young in the shadow of Jim Crow racism. O God, could a stronger race do more? Who will be the slacker then? p. 80 Sons of W.V.I. 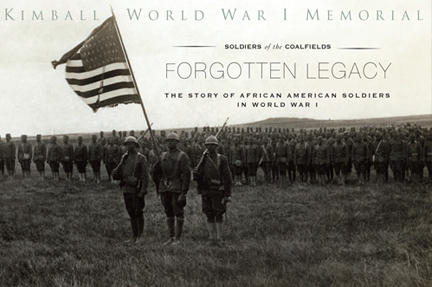 The poster was small and overshadowed by the life-size photographs of African American World War I soldiers that surrounded it, but at the opening of the Soldiers of the Coalfields exhibit at the Kimball War Memorial, it caught the eye of Jean Barnes-Peters. She had travelled to the small coal town of Kimball, WV from Charleston to attend the opening, where she spotted the brightly colored poster. 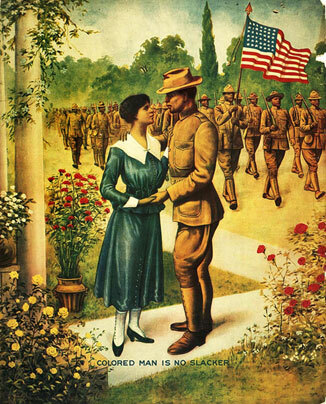 The artifact, titled “The Colored Man Is No Slacker,” was a WWI recruitment poster created to encourage African American men to serve their country in the war. The image and it’s title reminded her of a poem in a book of poetry written by her distant relatives in 1918 and which had been passed down to her. She approached us about the poster and told us the story of the book. “War Poems,” by African American sisters Ada Tess Peters (age 18) and Ethel Pauline Peters (age 17), is a window into their experience and perspective in southern West Virginia during World War I. Overcoming the persistent obstacles of the Jim Crow era in addition to gender, age, and geography, the women published this volume “to show the need of unity of all men in the fight for democracy” and to comment boldly on the issues of racism in the context of war. In the process, these young women open a window into their time and reach out across history to tell their story. We hope as you peer into their world, you’ll see it connect to yours. This is an interactive experience: It grows with its users as you share your own thoughts, poems and comments to their words. Peters describes how she learned about War Poems. Why The Slacker is Peter’s favorite poem. What the sisters might think about our time. Peters’ long search for what happened to Ada and Ethel. The story of how The Kimball Project found out about War Poems. How the poems resonated with Jean Peters’ experience. Peters gives her impressions of the sisters. How two teenage girls were so informed before Radio, TV and the Web. Too much of journalism is focused on the “now.” Breaking news. News flash. Live at five. Top stories. Latest headlines. Tune in now. Now, now, now, NOW. But how much information are we really getting by limiting ourselves to “now”? When thousands of protesters were camping in Zuccotti Park as part of the Occupy Wall Street Movement, my question was, “Why?” What fiscal policies of the past led to this discontent? Hundreds of students at UC Davis were pepper-sprayed and exposed to excessive police force. Why? What happened at Kent State in 1970? And why should that concern me personally, as a college student today? In the song Bridges, Utah Phillips says that the “packaging of time is a journalistic convenience that they use to trivialize and to dismiss important events and important ideas.” We have been conditioned to believe that if something isn’t happening now, it has no importance or relevance to us. The past is over. It’s a missed opportunity. Time to move on. But what we need to understand is that someday, our “now” will be someone else’s “past.” I think that’s the biggest lesson this project has taught me. Throughout my journey, I often wondered what my “now” would look like to young journalists of the future. As I looked at the yellowed photographs and held the dusty artifacts in my hands, I knew that someday my life and my memories would look like that to some young kid. 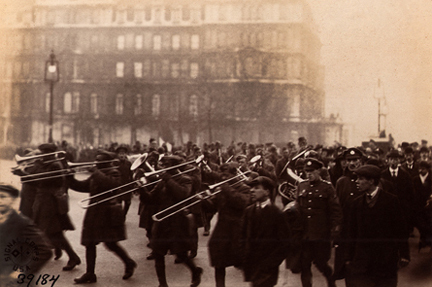 One hundred years ago, World War I and the events surrounding it consumed the headlines, radio waves, propaganda rags, posters – even poems. To the people who lived back then, that was their “now.” I tried to fathom that someday the biggest events of my life – 9-11, Hurricane Katrina, the Iraqi War – might only exist through faded relics in a quiet little museum. I began to see how easy it is for generations to become so focused on their own timelines that they completely ignore previous ones. The further I delved into this timeline, the more I realized that it made my own make sense. When I first started working on this project, I had no idea what I was in for. I’d spent the last four years of my life training in the form of journalism that is obsessed with the present. But over the course of this project, I have, in my own way, become familiar with the concept of Sankofa. I’ve explored the catalogs at the Library of Congress. I’ve sorted through box after box of documents at the National Archives. I’ve spent countless hours in libraries and online. I’ve driven hundreds of miles to talk to people face-to-face and learn about their “nows.” I have done my very best “to go back and get it.” The Akan believe the past illuminates the present; to me, being a journalist only reporting on the “now” is like only telling half of the story. In Bridges, Phillips illustrates his own concept of Sankofa. He says that time is like a river, and by standing in it, he can take out what he needs from it. My work with this project immersed me in that river; like Phillips, I wanted to build my bridge to connect my timeline with those that came before it. 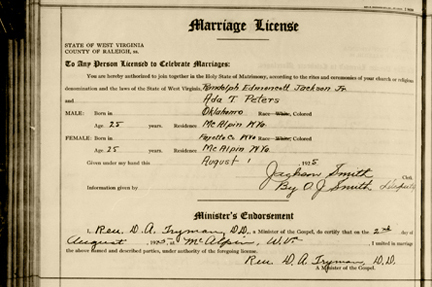 It may seem strange, but Ada and Ethel Peters became like friends to me. Though there was no chance of us ever meeting, their words spoke to me like the tributaries of Phillip’s river. Like pen pals from the past. But both Phillips and the Akan people have left out something very important in their philosophies. They too have forgotten that someday, our “now” will be someone else’s “past.” We can’t be certain that future people will return for what they have left behind, so we need to help them lay the foundations for their own bridges. I’ve said that when I first joined this project, I didn’t understand how contributing to a museum constituted as “journalism.” I had been trained to package my storytelling into convenient little pieces of “now” and ignore the real, nonlinear way the truth actually reveals itself. 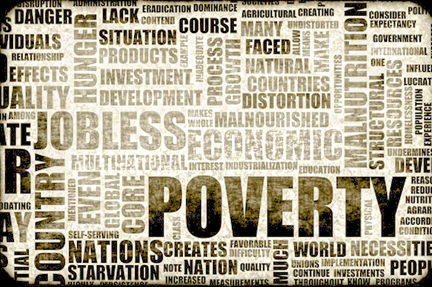 But I came to realize that this new form of narrative is a better way to teach people about the world. A museum is, essentially, a “brick and mortar” version of a documentary film. Rather than simply showing your audience the past, you can have them interact with it. You can immerse them in the river of time and help them build their own bridges. I knew I had to keep the future in mind. 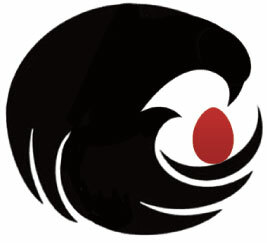 I wanted to make Sankofa appealing to new generations. I wanted to use technology as a tool to connect with the past. Innovative thinkers have dubbed this idea “click and mortar” to suggest combining the new (online) and the old (artifacts). With this site, and with the touch table installed in the Kimball Memorial in McDowell County, West Virginia, I want visitors to interact with history at their fingertips, to explore and examine it, I want their experience to speak to them. I want them to return for what they have forgotten. This project has changed the way I see the field of journalism, and how I see myself as a journalist. I’ve learned to incorporate the Griot’s art of storytelling with technology to escape the packaging of time. And yet, I am nowhere close to fully understanding the past. There are facts and dates I will never learn. There are faces and names I will never know. There are letters, and papers, and poems I will never read. But Phillips is right; the past didn’t go anywhere… I’m still just remembering it. The small community of Kimball, deep in the coalfields of southern West Virginia’s McDowell County, is an improbable site of the nation’s only war memorial of its kind honoring the memory of African American WWI veterans. 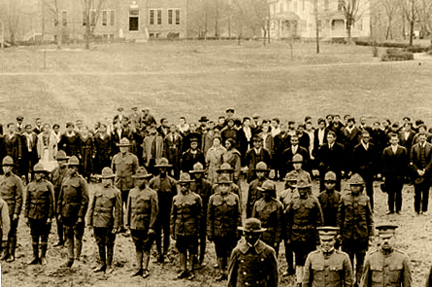 The Kimball War Memorial is the nation’s first and only building honoring Black soldiers that fought in World War I. Most Americans are unaware of the history of black service in WWI and that black troops made up one-third of the total U.S. fighting force. Remarkably, 1,500 of these African American soldiers came from McDowell County. The memorial was dedicated in 1928 and served as a center for community life until the early 1970s when the building began to deteriorate. A fire in 1991 left only a roofless shell. In 2000, local efforts led to funding for restoration, which won an award from the prestigious American Institute of Architects. 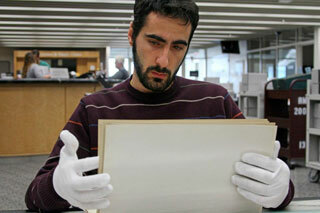 West Virginia University Visual Journalism student Sergio Liarte looks through photographs at the National Archives in Washington D.C. for the project. 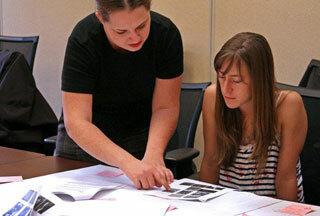 Casey Hofmann, left, and Codi Yeager, right, work with thumbnail images and Post-its to storyboard the touchtable and site. West Virginia Campus Compact’s Campus-Community LINK Project, through a grant from the Benedum Foundation.